So let’s get started, how did I do last week? Back on plan works for me. I had a great vacation, but it’s nice to see the scale going “down” again. Next, what salads did I make this week? Well, funny thing about that. 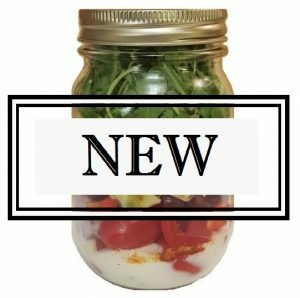 Normally I try to make a new salad and spend a ton of time scouring the internet for mason jar salads. But then it hit me. 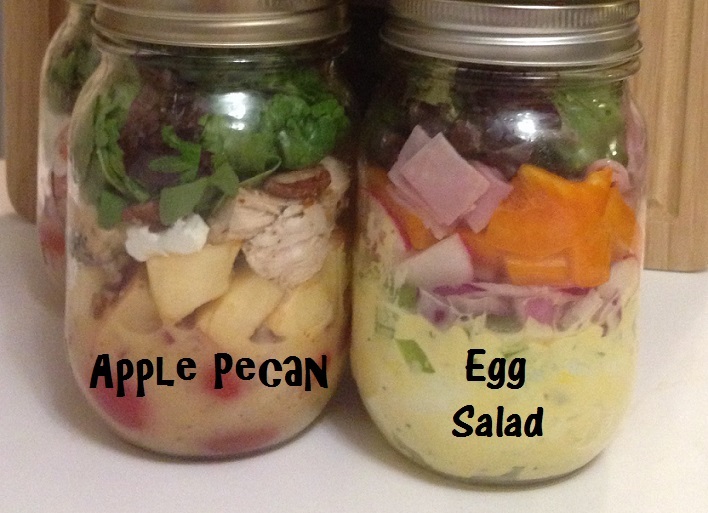 Any salad can be put into a mason jar, with some creativity. So I started thinking about what I like. I like egg salad. I know this is a hot button for some people. You either love it or hate it. I tend to side with the lovers. So now I had to think of what would go into my egg salad. Normally I use eggs, mayo and onions, with a dash of salt and pepper. But to make this salad work, and be healthy, I had to add in more “crunch”. 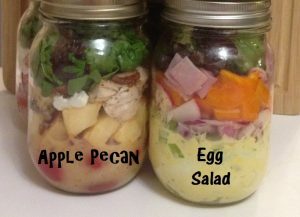 I also created another new salad, Apple Pecan, hope you like it. 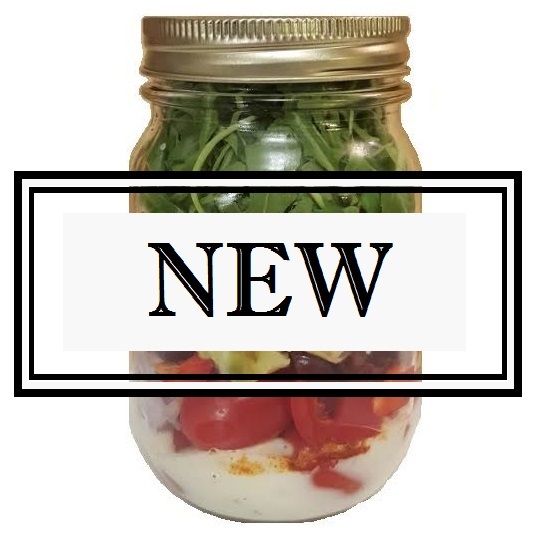 I hope you get a chance to make one of these salads, if you do, please comment and let me know if you have any questions.